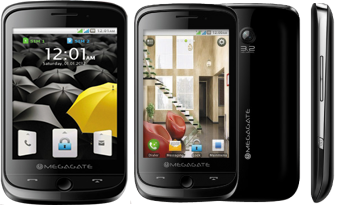 MEGAGATE NEO W720 A Touch that flows, Enable WiFi technology and equipped with high speed processor support Java Games and some Built-in Games are Available. Other Apps are SWAP App Store, WLAN / EDGE / Motion Sensor, Touch vibration, Light sensor, Privacy protection, Phone book backup, Currency Converter, Zakat Calculator, Webcam, Google Maps, Geo News, Wikipedia, Al Quran, Opera. Social Networking Facebook / MSN / You tube / Skype / Yahoo / Twitter / E-book / Ebuddy / Google+ / Facetalk.